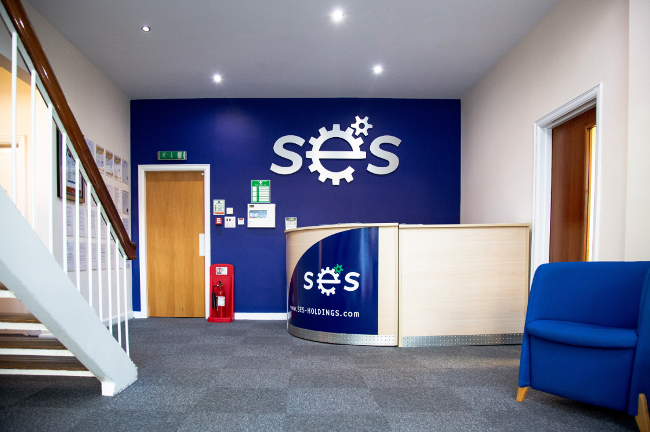 Rail Engineering firm, Specialist Engineering Services Ltd (SES) has relocated its headquarters to Doncaster, South Yorkshire to centralise its commercial and operational sides of the business with the help of Business Doncaster. Employing over 200 people, producing a turnover of £9m and with further sites in London and Scotland, SES made the decision to move its headquarters to Balby Court, Balby Carr Bank, Doncaster earlier in the year. The decision to relocate its HQ was supported by Business Doncaster, a partner of the Sheffield City Region Growth Hub Enhancement Project, which is financed by the England European Regional Development Fund as part of the European Structural and Investment Funds Growth Programme 2014-2020. With the help of Business Doncaster, SES managed to secure funding that contributed to the firm’s relocation as well as modifying the access point to its rail operating centre to allow for heavy plant access. SES was also able to benefit from the Project’s range of free Masterclasses on all aspects of business management including GDPR and marketing. Once the largest and most experienced mining contractor in the UK, having supported numerous British blue chip companies and with presence in the Arctic Circle, India, Bulgaria and Poland, SES are at the frontline of engineering solutions and applies its expertise in mining to the civil and rail engineering sectors. Having worked closely with clients including Tata Steel, Transport for London and Network Rail on a range of projects since establishing in 1998, SES is now in the process of rolling out an apprenticeship scheme with the help of Northern Rail Alliance and National College for High Speed Rail to allow students to benefit from their world-class training programme. Emma Shrimpton, business services manager at SES, said: “We were amazed by the support Business Doncaster could offer us. “Our move to the area contributed to boosting the local economy and creating jobs and so, as a result, we were able to benefit from funding which really helped us to transition between sites and improve the accessibility of our nearby operating centre. Michael Stanley of Business Doncaster said: “It’s great to see SES choosing Doncaster as the location of its headquarters and we are thrilled to have been able to support the team throughout this transition.